Minimalism is a term that has become very popular in discussions around the web. 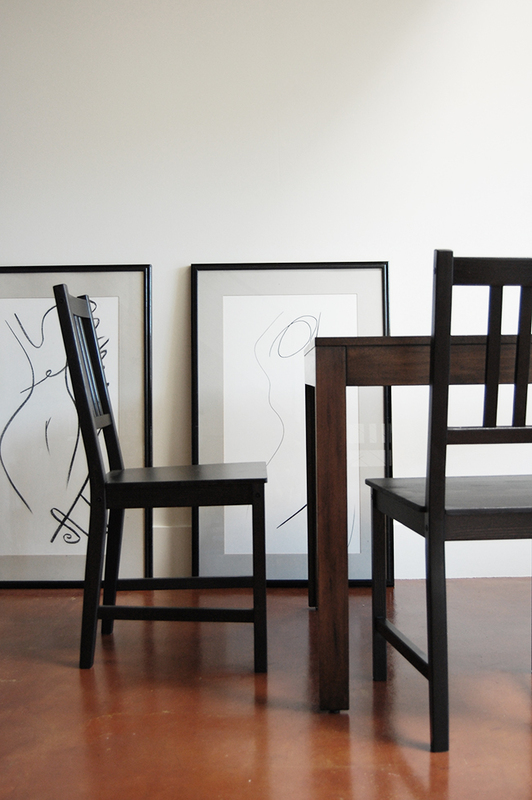 Some consider minimalism to be a representation of a toned down, black and white aesthetic. Others would argue that minimalism is simply “living with less.” And then there are people who consider minimalism to be a lifestyle choice – minimizing one’s negative impact on the planet. There were many online influencers who introduced me to the idea of becoming minimalist. All have their own slightly unique interpretations of what that means but one commonality that they all possess is the ultimate goal of happiness. When they strip away their emotional attachment to and ownership of “things,” they create emotional and physical space to fill with whatever brings them true feelings of joy. As a person who is severely impacted by her surroundings (both positively and negatively), I knew that minimizing my possessions and creating a calm aesthetic at home without visual distractions would without a doubt have a positive impact on my daily life. I also knew that when I do good, I feel good, so minimizing the amount of waste I create by shopping less and shopping locally would impact my life positively. So how did I start? My husband and I were married in February of this year. We were warned that if we did not register for physical gifts that we would end up receiving random things that weren’t our taste and that we didn’t need – so we registered. We were fortunate to have many generous guests attend our wedding and we received many lovely gifts from our registry. Unfortunately, our modest apartment was soon FULL of Crate & Barrel boxes. The clutter (and waste! so much cardboard and packing materials!) that this created combined with the stress of wedding planning quickly became overwhelming. After we returned from our honeymoon we both agreed that it was time to purge. The purging process took us multiple weeks. We started by returning a large portion of our wedding gifts to the store with the intention of later using our store credit to purchase a nice piece of furniture that we actually needed. Next we turned to Craigslist (my favorite website). I listed a few postings every week for kitchen and home items that we no longer needed. I sold our ikea set of plates and glassware, old pots and pans, a few furniture pieces that were cluttering our space, some exercise equipment that we rarely used, and more. Over the course of a month I generated over $1000! This process was timed nicely right before our lease ended at that apartment. We moved to a more central city location in June and scored a beautiful loft apartment with great lighting that we both absolutely love. The only downside? Storage. The lack of storage in the new apartment meant that we had to downsize even more. We loosely followed the tips in Marie Kondo’s book “The Life Changing Magic of Tidying Up” to help us. We pulled EVERYTHING out of each closet, sorted our items by category, and either sold or donated any excess. Who needs THREE measuring tapes? Each trip to Goodwill actually made me feel lighter. After our move we did a few more rounds of donations and Craigslist sales (another $400 worth!). My husband is afraid that I have become addicted to selling things on Craigslist and that soon we won’t have anything left. I really can’t explain how good it feels to send things away to a new owner (and to collect some extra $$ to spend on nice dinners out with my hubby!). Minimalism for me is a process. There are still things in our home that are useful but not “beautiful” that I would like to replace. If and when I do shop I would like to at least start my search at local second-hand stores (hello Crossroads on Market St.) and we both would like to start adopting some zero-waste grocery shopping methods. We aren’t perfect, but we are making steady progress one small habit at a time and that makes us both happy. No Impact Man – a documentary about a small family in NYC who decided to spend a year experimenting with ways to impact the environment with more good than harm. Zero Waste Home – a family of four living in Mill Valley, CA who have only generated enough trash to fit inside of a small mason jar over multiple years. Jenny Mustard – a youtube personality living in Berlin who creates videos about her minimalist aesthetic and values. Her food videos are particularly beautiful and inspiring to watch. The Minimalists – two friends living in Montana who sold most of their belongings and quit their high paying jobs in order to pursue a simpler life with much less stress, and a lot more joy. 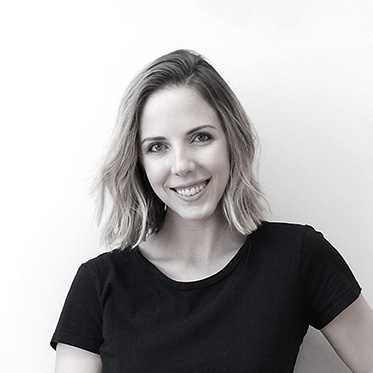 Kate Arends on the Lively Show Podcast – Kate talks about what minimalism and authenticity mean to her on Jess Lively’s The Lively Show podcast. She describes authenticity as “not needing external approval to feel good about your actions.” Super inspiring.